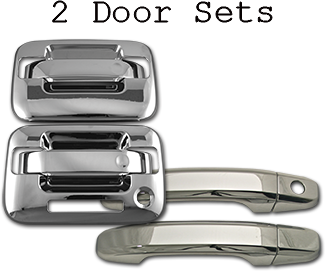 Simple - chrome for the professional - is a brand new line of chrome accessories from Restylers' Choice. Featuring a simple business model, with simple pricing, simple selections, and a simple warranty! There is simply nothing more simple than Simple. Only the basics…what else would you expect? We kept it simple offering only the hottest moving items. 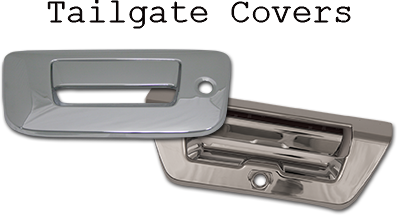 Simple Chrome features only Door Handles, Tailgate Handles and Mirror Backs. 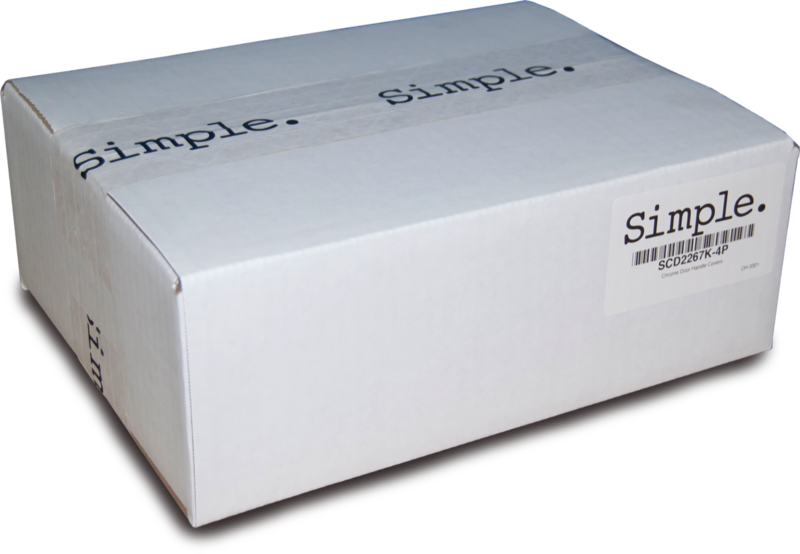 All of our products feature a heavy-weight durable white box, with Simple Tape and a Simple label. No cheap, flimsy cardboard that leaves your product open to damage. To make this as simple as possible we have taken all of the guesswork out of pricing. With Simple you need not worry about which vehicle you are ordering for - all 2-door sets are one price, and all 4-door sets are too. Mirror backs have a very simple price structure too. As a bonus our prices are 20-25% cheaper than our closest competition. 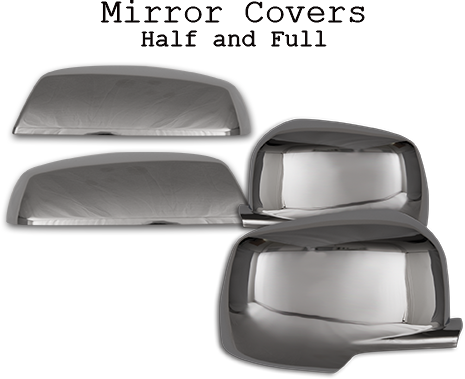 Including our very own Chrome Effects line! Simple chrome was designed to feature only the hottest moving applications. Sorry we do not cary door handles for your 1974 Pinto! We Stand Behind It - 4EVER! 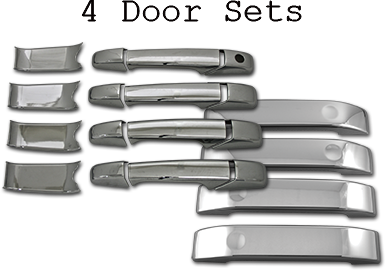 All Simple Chrome products are warranted against defects in manufacturing for the lifetime of the product. Warranties are for product only and limited to the value of the replacement item. Neither seller nor manufacturer shall be liable for any damage, expense, or consequential damage arising out of use or the inability to use the product. A sample of the of the defective product as well as the product date code and date of purchased should be provided to file a valid claim.